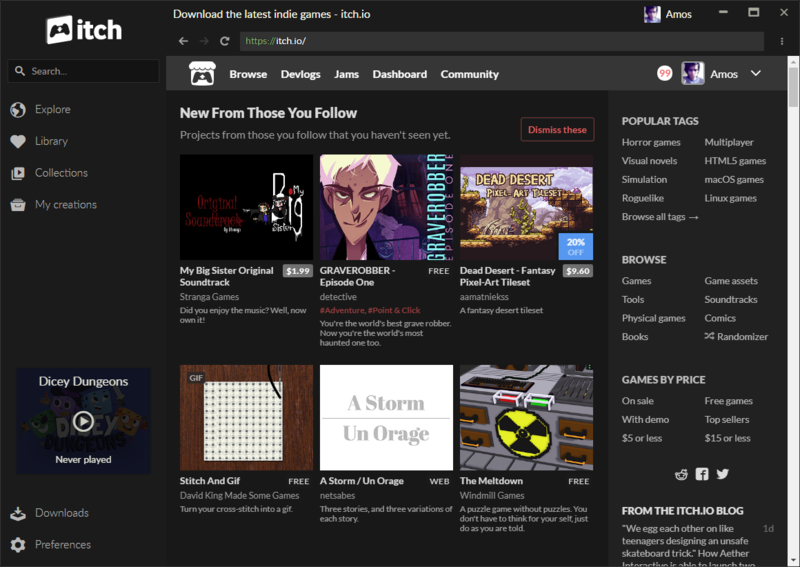 You can find games by using the in-app browser: it lets you access the entire itch.io website. 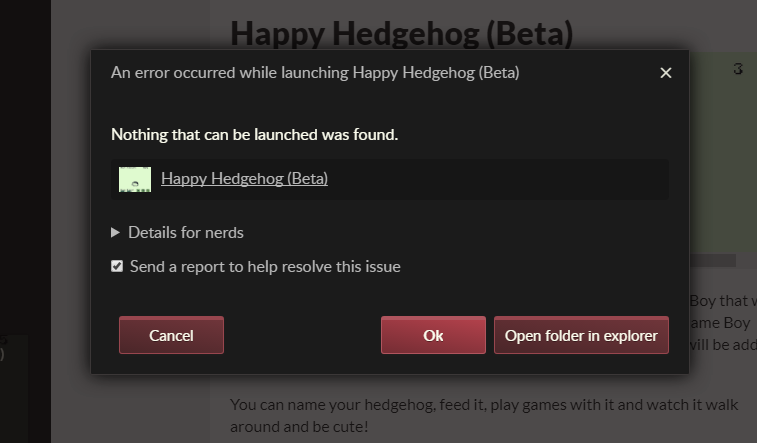 Once on a game&apos;s page, use the Install button to download it. If you don&apos;t own the game, you&apos;ll see a Purchase button instead. If you have a press account and the creator has opted into the itch.io press program, you&apos;ll see a Review button instead. 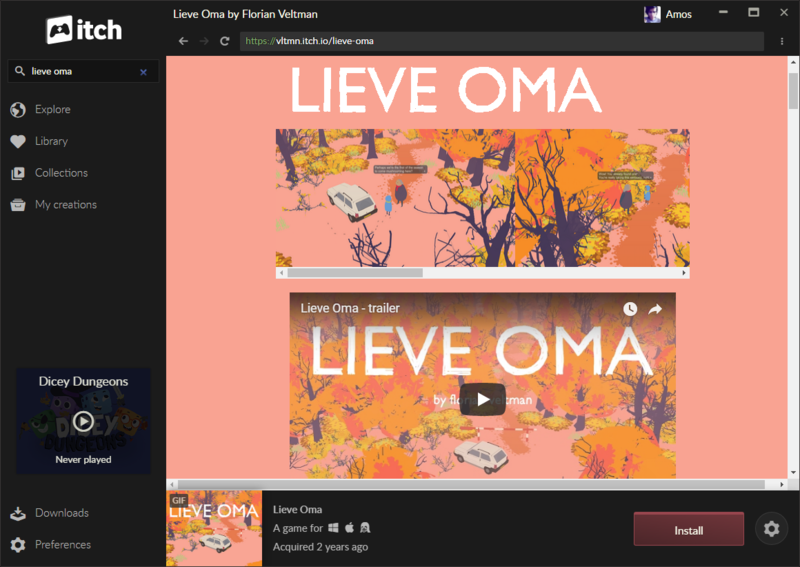 The app also lets you browse your own collections, and any of your own games you might have uploaded to itch.io. 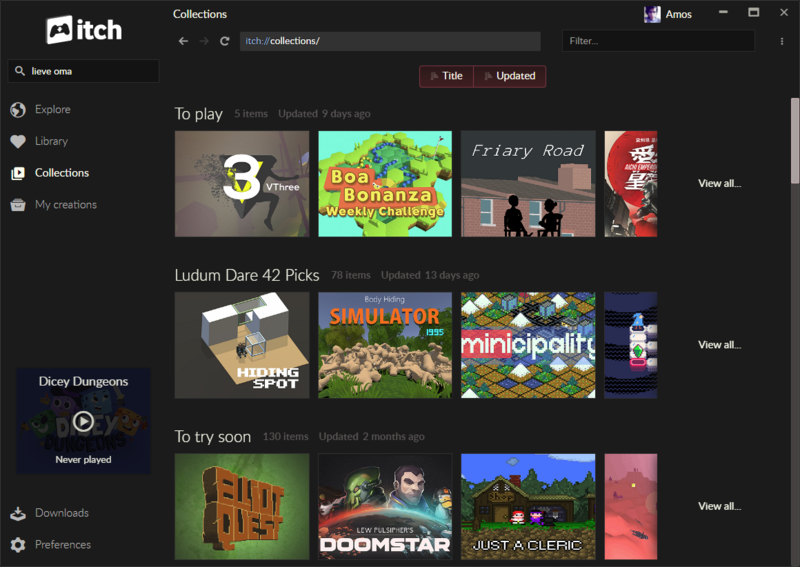 The search bar will search all itch.io games and creators when online, along with all games installed or in your collections, even when offline. Sometimes, a game might fail to install or run properly on your system. The app detects this and sends us an automated report. It might be an app bug, a game bug, or a problem with your system, but regardless, we take a look at all reports. In fact, testing that games run well using the app is a great way of helping us!